How To Deal With Moving Stress? Professional movers including the US-1 Van Lines, based out of Miami, Florida and Norcross, Georgia, are really busy especially during summer months because this is the peak season for moving. The moving process is arduous and most families don’t know what to do. To ensure successful moving, there are some things that you need to do. If you are not sure that you can handle the move alone, this is the perfect time to find professional movers. Moving companies usually need to be contacted at least a month before the move. If you are planning to move during the summer, you have to do it in advance as there will be a lot of clients. 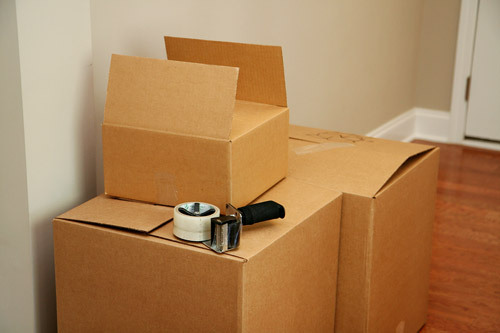 Choosing a reputable and competent moving company is very important to ensure a smooth move. It’s best to build an overlap between the possession date and the closing date of your new/old homes. At times, moving will not fit into your established schedule so when there is overlap, you can avoid problems. If your new home needs new painting or you need to put new carpet, you have to do it in advance before moving. Identify the things that you want to bring and the ones that you don’t need. You can hold a garage sale at least two weeks before the move so that you can discard the ones you don’t need but at the same time making some money. Visit your new home and get the measurements. You can even sketch it out so that you can identify where your belongings are going to be placed once you arrive. Getting the door size will also allow you to determine which ones can or cannot fit into the house. Before the move, you also need to arrange for the utility and phone hookups. You also need to change your address by filling out a form at the post office. You’re lucky if you can find a moving company that will provide you with boxes but most of the time, you will still need to buy a lot of boxes or you can just ask around (at a local school or library perhaps, local electronics store, grocery). You can also save money by gathering old newspapers from recycle bins, friends, and neighbors. Bubble wraps are great but this can mean additional cost on your part. Still, if your budget permits, you can still buy bubble wraps especially if you have many fragile items to pack. Get a separate box for the essentials and don’t forget to mark the boxes accordingly so that you will know the contents at a glance. Valuables like jewelry should be packed in a small box that will fit into your car. All electronic items should be checked and note their serial numbers or models. While you’re packing, you should already be doing some cleaning to save time and energy. These are the things that you have to do to ensure successful moving. Moving will be easy with the help of professionals and this simple guide. * US-1 Van Lines of FL Inc.
* US-1 Van Lines of GA Inc.